As we take on the responsibilities of adulthood, the joys of childhood begin to seem faded. 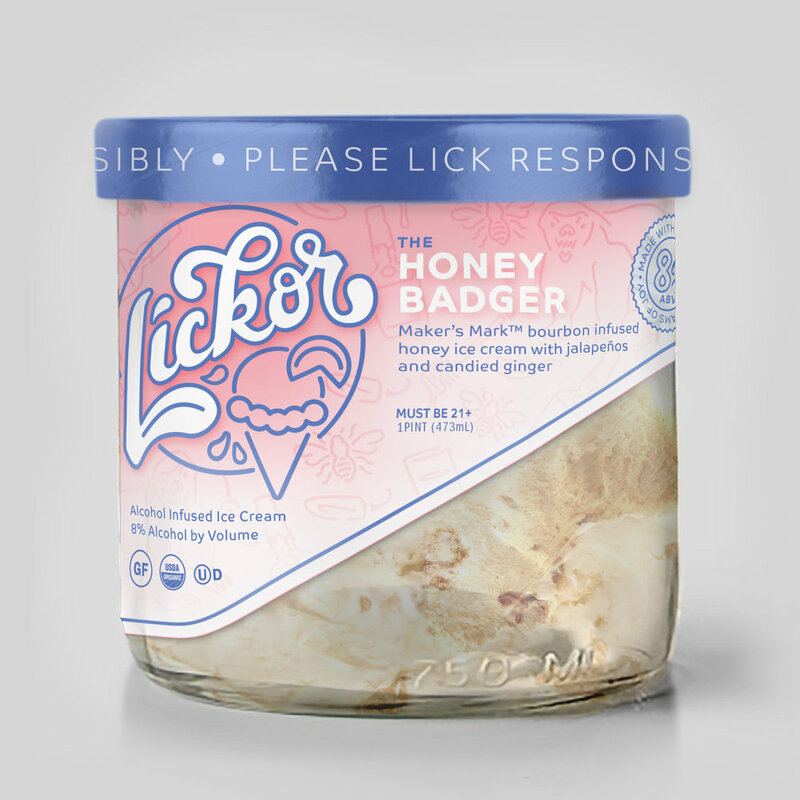 But worry not, as Lickor is here to spike it up a notch. 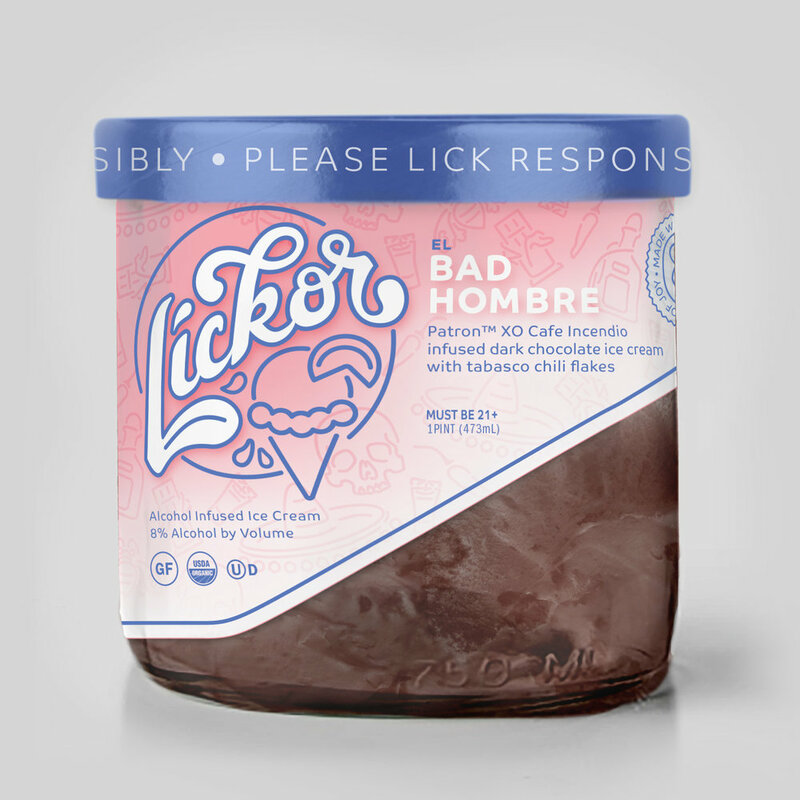 An alcohol infused ice cream company, Lickor both operates a chain of ice cream bars and sells retail pintsin specially branded freezers at local liquor stores. The flavors are all inspired by real cocktails, and by co-branding with leading alcohol brands, you can be insured that they are made with only the top-shelf liquor. Lickor takes the classic '50s soda-fountain format, counter seating and all, along with some midcentury inspired cantilevers, and updates it for the modern age. 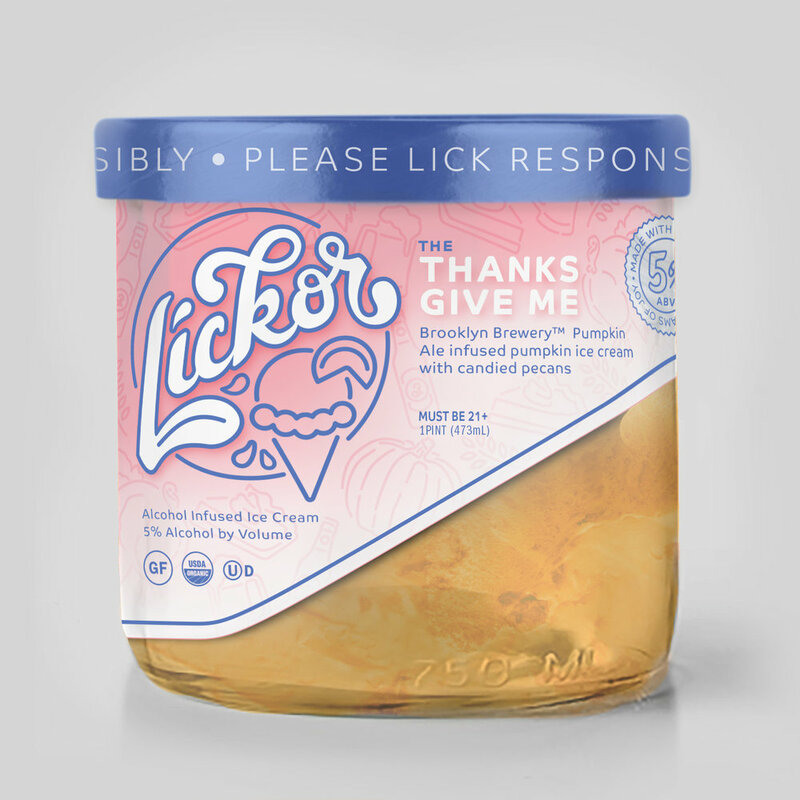 Bright, fresh, and delicious, Lickor is the adult-only space where you'll never wish to be a kid again. 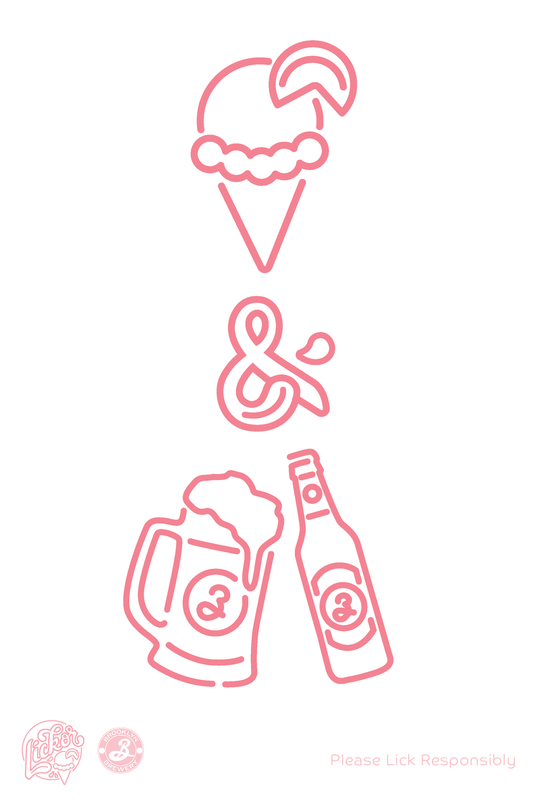 Logo development from initial sketches to final design. 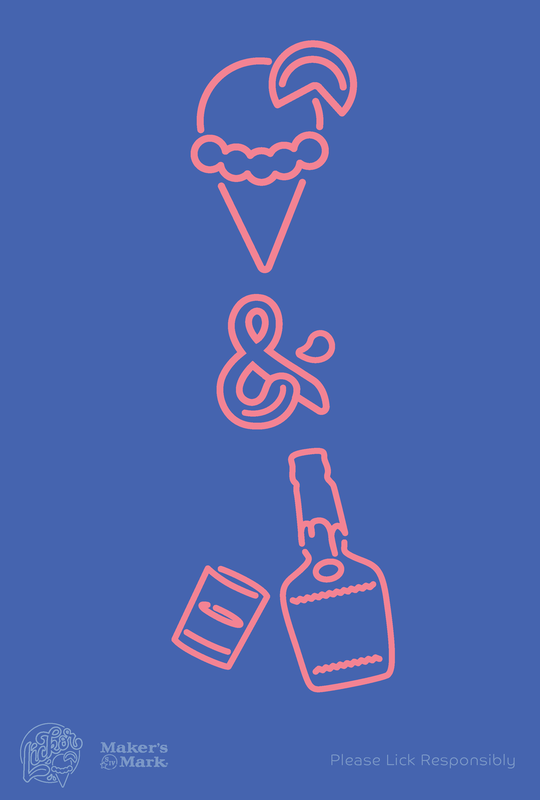 The design is inspired by the signage and lettering around vintage ice cream parlors and liquor stores, while the "L" is anthropromophised into a tongue. Both the full mark and the logotype are used in the branding. 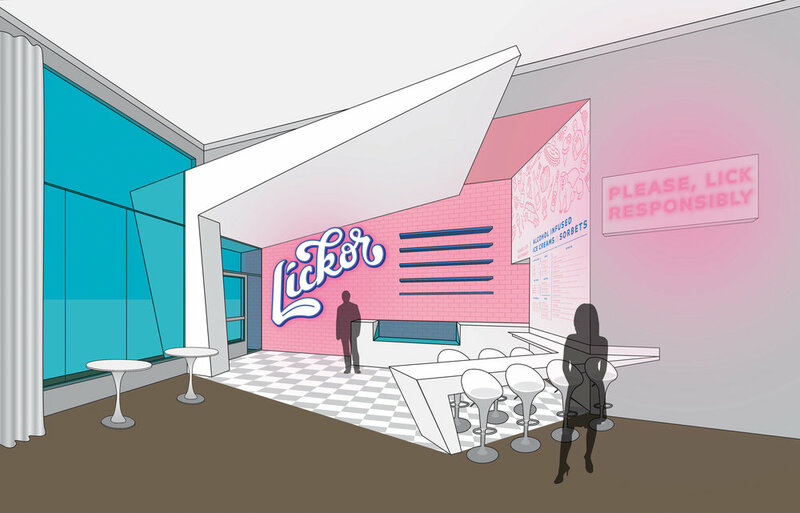 The store renderings set visual branding concepts including the use of the mid-century cantilever, counter seating, white and grey checkered floors, pink subway tile, and bar shelving to display the top-shelf liquors used in the ice creams and sorbets. 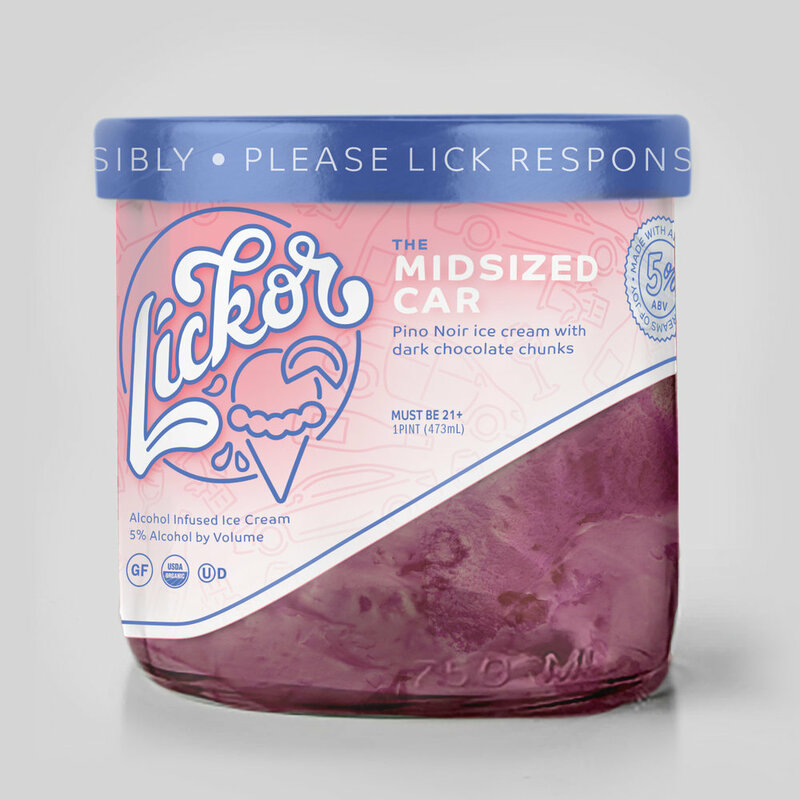 Featured on Packaging of the World, the pints of ice cream are made from recycled wine bottles with quark tops, which is both a nod to the alcoholic contents and a sustainable design. Below are process renderings of the packaging and a design exploration of a branded freezer for liquor stores.